The Automobile and auto parts industries have always excelled in innovation and high productivity. Automation has always been widely used in the pursuit of economies of scale. 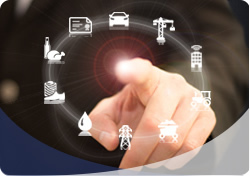 NOVUS enters this sector with innovative products and solutions that seek increased productivity. Monitoring the production, assisting support departments and increasing the quality of parts of the vehicles can all make an important contribution. • Cooperation and empowerment of the entire production team to meet production targets which can be displayed in a way to be visible from the factory floor. • Comparability of information regarding room environments for all concerned departments. • Synoptic screens and alarms notifications sent via email and SMS enable rapid response in case of emergencies.